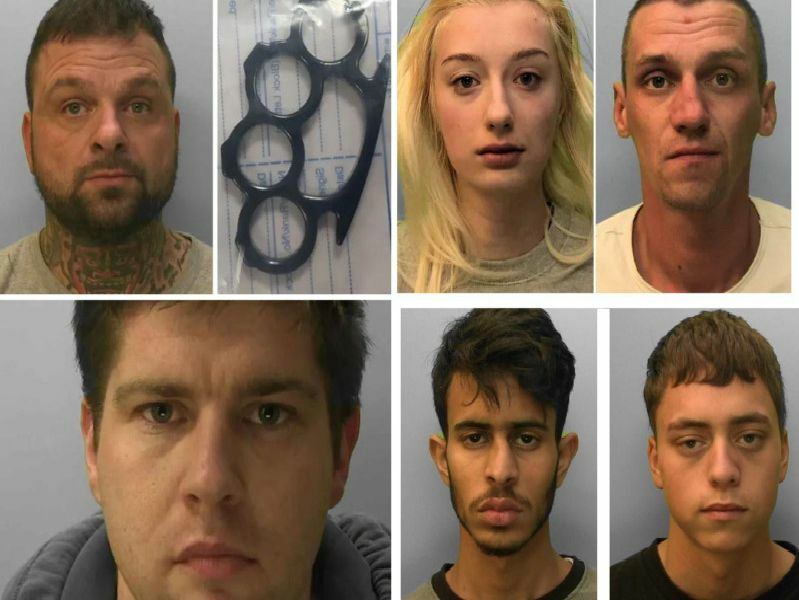 A couple who inflicted horrible injuries to a baby boy, a driver who caused the death of a teenager in a high-speed crash and a man who savagely murdered a homeless man with a stone slab are just some of criminals jailed in Sussex last month. Here is a roundup of some of the most serious sentencings in Sussex in January. All sentencing details accurate at time of convictions. Sergio Lemori brutally murdered a rough sleeper in Brighton in an unprovoked attack with a stone slab. The 33-year-old, of no fixed address, was sentenced to life imprisonment, with a minimum term of 25 years. A woman who set fire to a well-known homeless man's bedding in Worthing in a 'shocking' attack was jailed for arson. Lyndsay Dewey, 41, of no fixed address, pleaded guilty to two counts of arson and was jailed for 32 months. Aleksandra Kopinska, 22, and Adam Jendrzeczak, 32, both unemployed, of Sackville Road, Hove were jailed for eight years for child cruelty. Former Uckfield town councillor James Anderson, 34, of Michelham Road, Uckfield, was sentenced to 32 months' in prison for six sexual offences involving three teenage girls.